Starting small? Well, that’s not our style. The first installation we did was the TV news studio – one of the most important TV stations in Czech Republic. Right above is viewed one of the most popular TV Shows, which has been already broadcasting every 7 years each day! A couple of months ago we created new design for this competition, but we are going to write about it in another post. The very purpose of creating this unique studio was to serve Formula 1 Competition. In these days, it is used for many sport programs. Of course, the complete system is controlled via LED Strip Studio software. During the installation was used 334 meters of Analog and 200 meters of Digital LED strips, which is altogether 22 400 LEDs! LED installation of JOJ TV Studios was one of the most demanding work, we had. It usually requires timeless design, Digital horizon and LED decoration. However, LED Strip Studio provides that, running on Intel i5 computer, simultaneously concealed in 19 inch rack case. It sends a signal through Ethernet cable to a switch, and then transmits it to the LED Strip Studio controllers, LED strips or another LED Controllers. In the entire installation was used 850 meters of LED strips, counting to 36,000 LEDs. TV Studio Sazka is just another awesome TV Studio we carefully built and designed. This time we used 4 x4 LED pixels. It took more than 500 meters of LED pixels to create the entire studio. 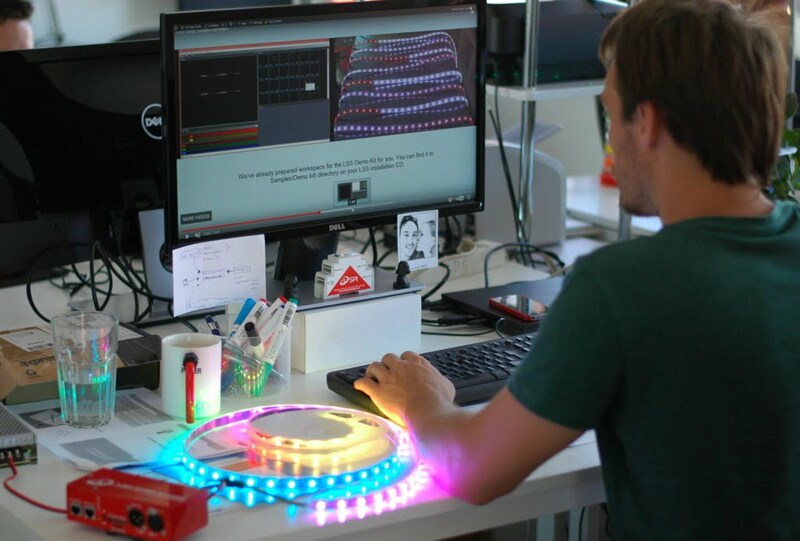 Of course, each effect is controlled via LED Strip Studio Software.